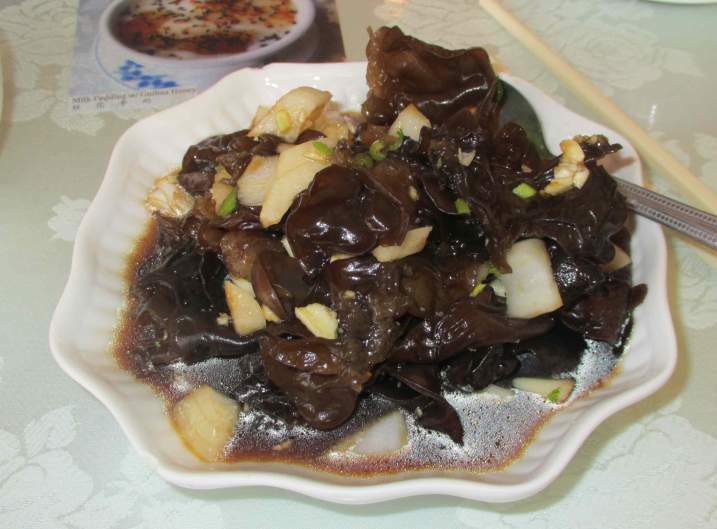 Chinkiang Vinegar is made using a black glutinous rice, hence the color, and millet or sorghum are also used. Some varieties are really quite dark, albeit not quite black, and this one, as you can see, is much more of a reddish-brown color. In addition to sugar and water, it lists wheat bran (rather than millet or sorghum) as an additional ingredient and I note that the address on the label is for Nanjing, the capital of Jiangsu province, rather than Zhenjiang. Whether the product is manufactured there, or else brewed in Zhenjiang and simply exported through Nanjing I cannot say. 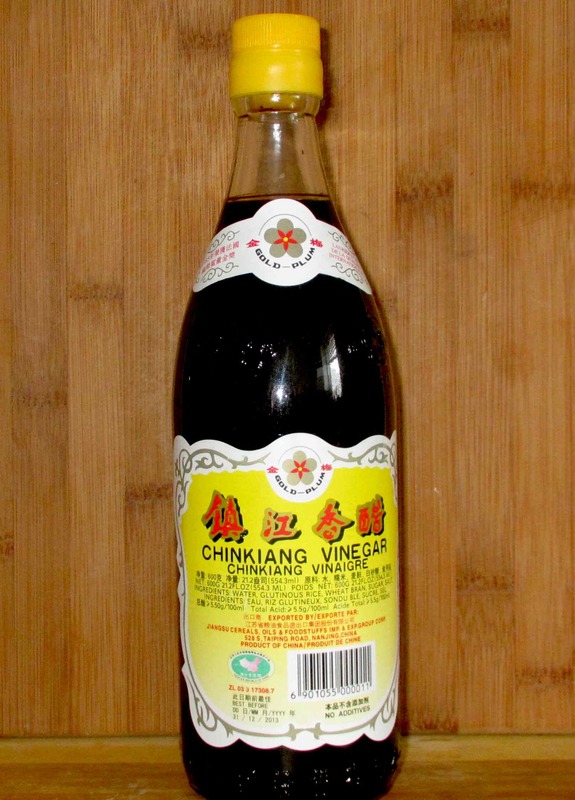 In flavor, Chinkiang vinegar most closely resembles a western malt vinegar, to my mind, but it they are also similar in some aspects to the cheaper Balsamic varieties. The last bottle I had, while darker than this, was also quite mellow and had less than half the acidic bite of common white vinegar. This brand, in contrast is very robust and not likely to be accused of being subtle. The acidity is quite strong and the fruity, malt vinegar quality has a definite smokiness to it that is quite unique. Near the end, there is an odd, but pleasant, hint of dry straw and the aftertaste is very reminiscent of a well-browned breakfast toast. I suspect, although I do not know, that the wheat bran may be roasted before being added to the brew and, if so, this may also account, in part, for the color. Really great summary. All of the black vinegars I’ve tried have been of the low-acid variety. I’ve often read that one could substitute balsamic vinegar for Chinkiang, but to me, anyway, the taste just isn’t right. I hadn’t thought of malt vinegar, but that’s much closer to the mark, I think. Anyway, I love this stuff! And always have a bottle in my pantry. Good read – thank you. Thank you 🙂 I actually prefer using this for most purposes rather than the sorts of balsmic I have been able to try. I don’t know if it’s a Cantonese thing, but my family pretty much hates vinegar, anything gamy, and anything with a strong taste. 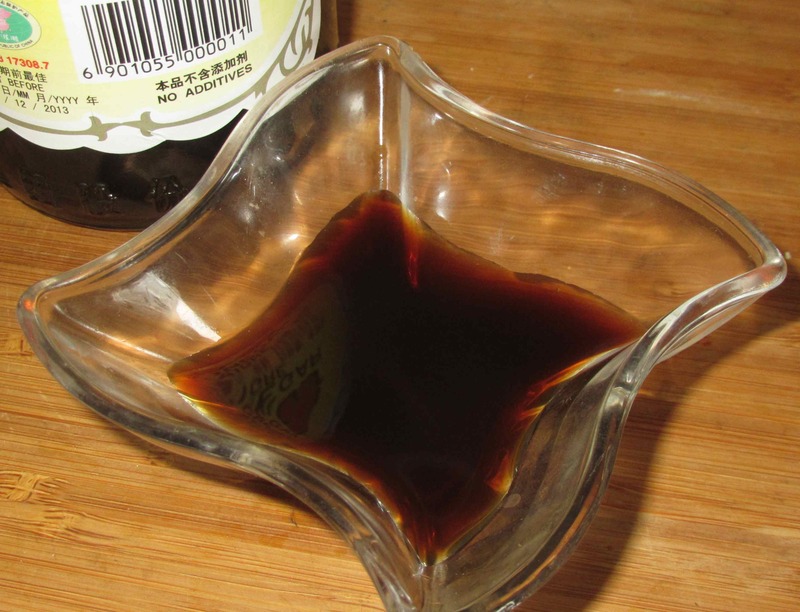 As a result, I never got to try black vinegar until I was an adult and am now pretty addicted to it (along with gamy meat, stinky cheese, etc). Very good stuff and super distinctive! Haven’t thought of using it as a replacement for balsamic, but I should.